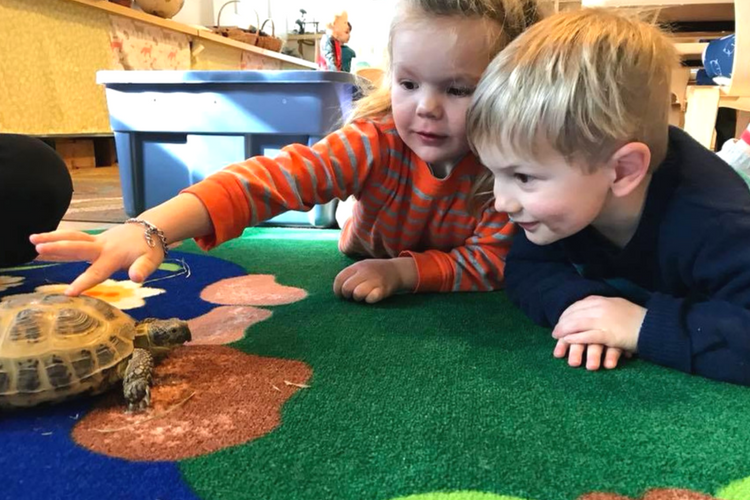 Forest Kindergarten is an ideal class for older fours and younger fives who would benefit from a year of nature school before beginning a structured kindergarten or first grade. Forest Kindergarten Oaks class meets Mondays through Thursdays from 9am-2pm and also includes all-outdoor Fridays from 9am-12pm. Longer days include fantastic opportunities for confidence building and risk taking as well as extended blocks of time for learning, growing and PLAYING! This program acts as a transitional Kindergarten program. 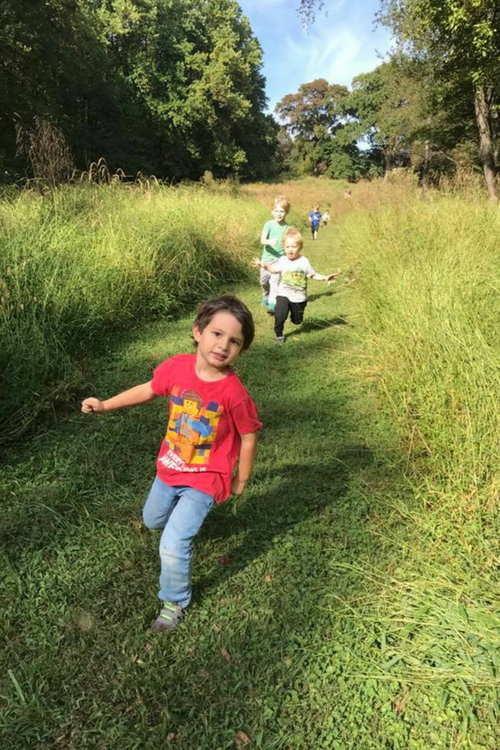 The Preschool is located at the Woodend Sanctuary, Chevy Chase, Maryland. 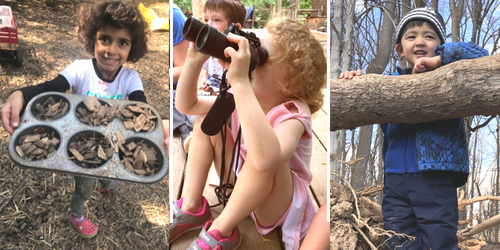 Children benefit from exploring the natural surroundings of the 40-acre sanctuary, which offers endless opportunities for investigation and discovery. Applicants need to be 4 years of age by March 1, 2018. Click to Enroll Your Child Today!